As mentioned earlier Green capsicums are an excellent source of vitamin C. Vitamin C is essential for hair health and further, helps in effective absorption of iron in red blood cells to carry oxygen to hair follicles. Vitamin C is also vital in the production of collagen which is needed by hair follicles for optimal hair growth. The deficiency of Vitamin C can cause serious hair problems like dry & split hair. Application of a fresh paste of capsicum on hair is highly effective in boosting the hair growth as it leads to improvement of blood circulation in the scalp. Take a few dry red bell peppers and boil them in water for 5 to 6 minutes. Now let them cool down, Now massage these boiled bell pepper on your scalp using a cotton pad and let it sit there for 10 to 15 minutes. Then wash off the hair. You can apply it twice a week to get best results. Natural silicon is healthy for your hair and nails growth and capsicum is the best source of natural silicon. Try adding it to your meal and feel the difference. Bell peppers or so-called Shimla Mirch are more effective to improve the effectiveness of other herbs. Application of such combination acts as a growth stimulator for hair and the best medicine for curing hair loss. 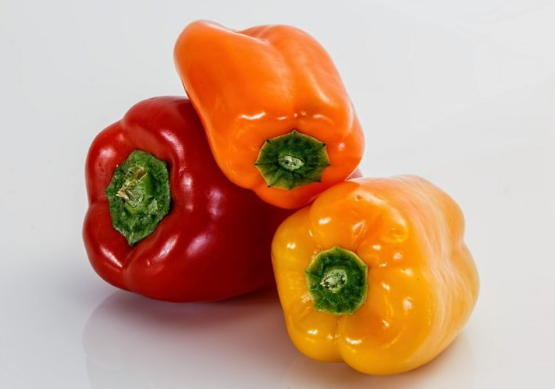 Capsicum improves the blood flow in the body and also the scalp which is needed for proper growth of hair and protection of hair follicles from the effects of dihydro testosterone (DHT).